Reach out to your customer base and spread the word. The Fenway Group is also a full-service mailhouse. We can handle your mailing's design, recipient list, envelopes, and distribution. 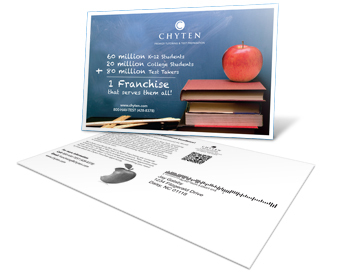 From enclosed invitation packages to self-mailing postcards and brochures, we have your mailing solution. Use our Direct Mail page to get started, and add a follow-up email campaign with our Email Marketing Services to enhance your mail's lasting effect.